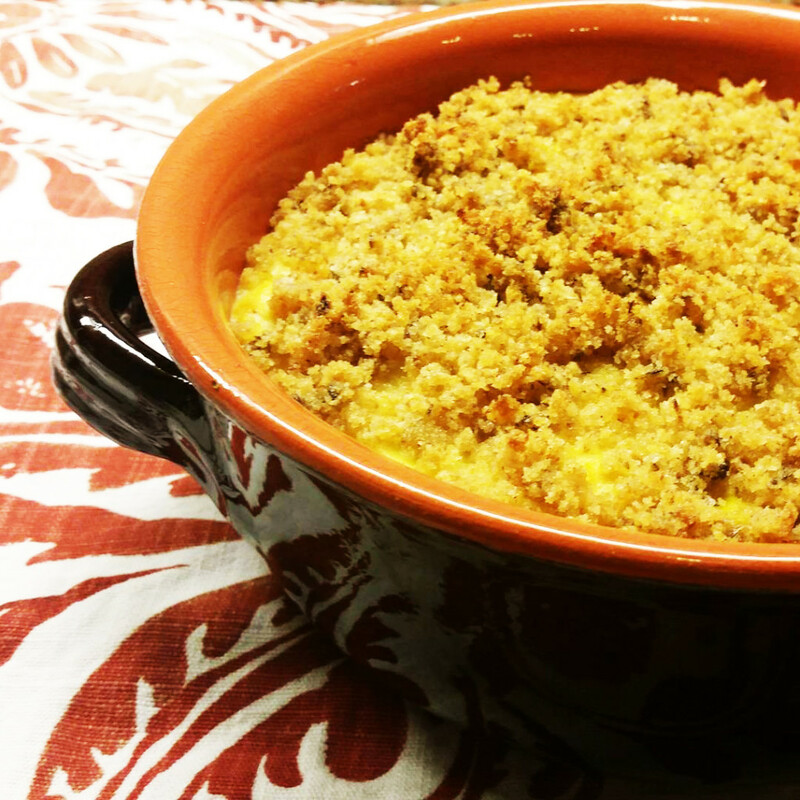 In a large mixing bowl, combine Margaret Holmes Squash with Vidalia Onions with 1/4 cup breadcrumbs, Cheddar cheese, sour cream, egg, garlic powder, salt and pepper. Add squash mixture to a greased 8 x 8 inch casserole dish. Toss remaining breadcrumbs, Parmesan, chives and butter until well coated. Sprinkle over the casserole dish. Bake for 30 to 35 minutes or until the filling is bubbling and the topping is golden. Let stand for 5 minutes before serving.